Korea Tesol is seeking submissions from English education professionals for its international conference in Seoul this autumn. 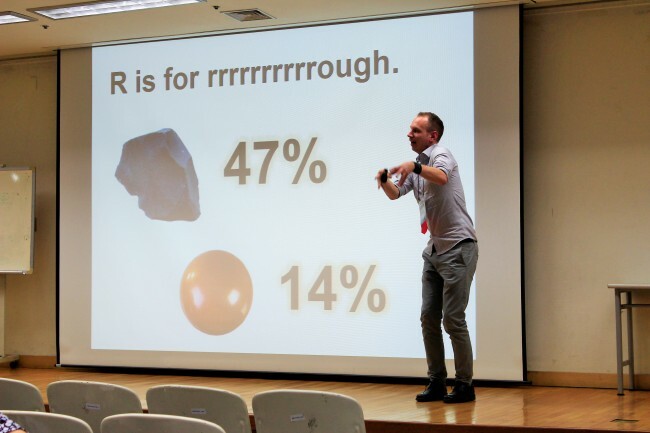 The Kotesol International Conference, scheduled to take place from Oct. 13-14 at Sookmyung Women’s University, typically attracts around 1,000 people, providing an opportunity for English educators to present their research, share ideas and network with other professionals. This year’s conference will focus on techniques, research and ideas used to help English language learners become fluent, so organizers are keen to receive proposals on fluency development in young learners and in writing, reading, speaking and listening. Proposals on general English language teaching topics are also welcome. For example, the “101” series invites proposals on topics for new teachers. Proposals could be research presentations, workshops, dialogues, panel discussions or poster presentations. The deadline for international conference proposals is May 31. Visit koreatesol.org/ic2018 for more information about the conference and the proposal process. Kotesol will also hold a national conference on May 12 at Kangnam University in Yongin. Details on the national conference are available at koreatesol.org/nc2018.